Summer is still in full swing in August in Budapest. Many travelers travel to Hungary's capital to take advantage of the warm weather before fall approaches. Be sure to pack sunscreen if you plan to sightsee during the day. It doesn't rain very often in August but when you should still bring an umbrella because when it does rain, it tends to be heavy rains. If you plan to be out at night a lot, a light sweater or jacket will keep you comfortable in the cooler evening weather. August 20th is St. Stephen's Day, which recognizes one of Hungary's most important historic figures. The Budapest Summer Festival continues through the month of August on Margaret Island. Budapest's well-known Sziget Festival, one of Europe's largest music festival, takes place every year in August. Shop for traditional Hungarian souvenirs and gifts at the annual Festival of Folk Crafts at the Royal Castle. 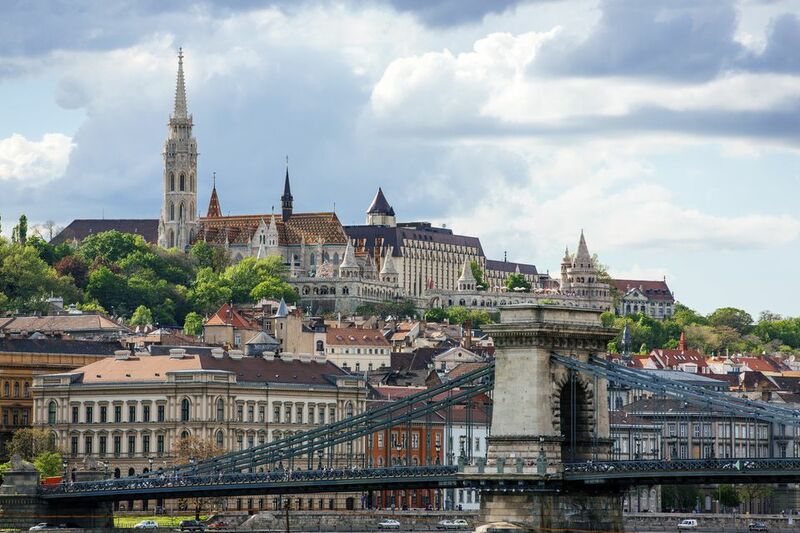 August is one of Budapest's warmest months and a popular time for travelers to visit. Be sure to buy your tickets and book a hotel well in advance. Pack lightweight clothes as it can get quite hot, but also have a jacket on hand for the cooler nights. Keep an umbrella or waterproof clothes on hand just in case you caught in a storm.